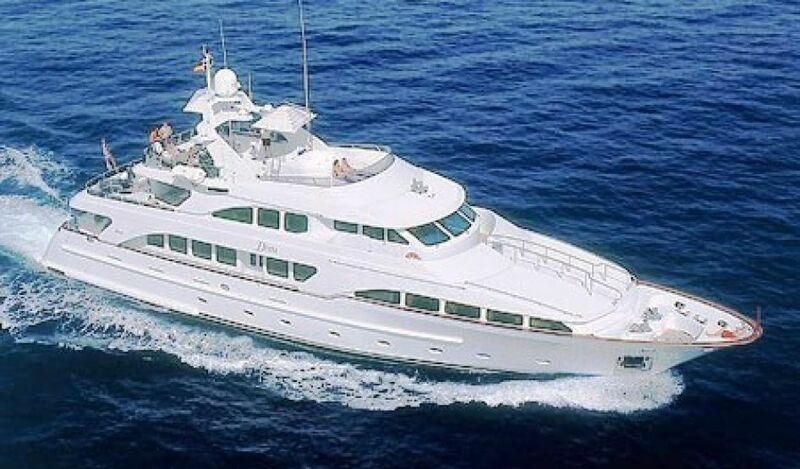 Luxury motor yacht INOUIS (ex Diane) is fine example of the 35 m Benetti Classic design. 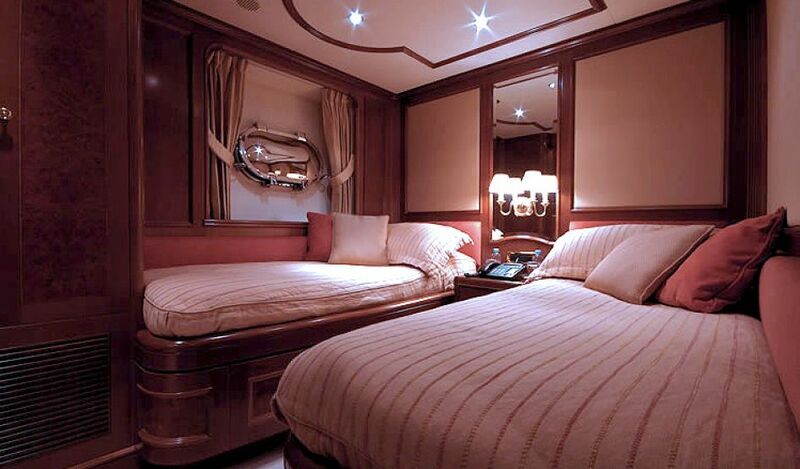 M/Y INOUIS easily accommodates up to 10 charter guests in excellent comfort, stability and luxurious performance. 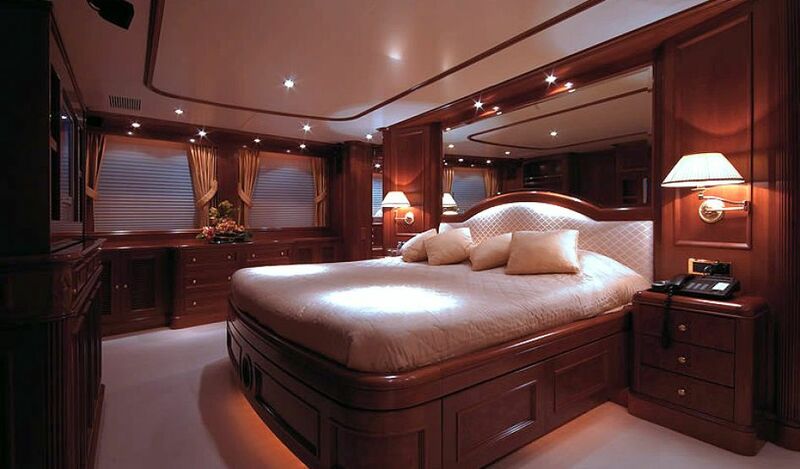 She boasts 5 cabins, with 3 doubles and two twins. 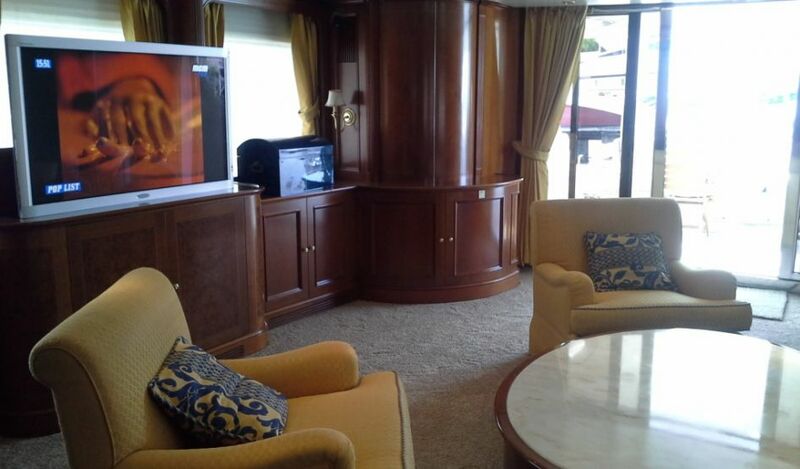 All of the cabins are fully air conditioned and have full ensuite bathrooms and electronic audio visual equipment. 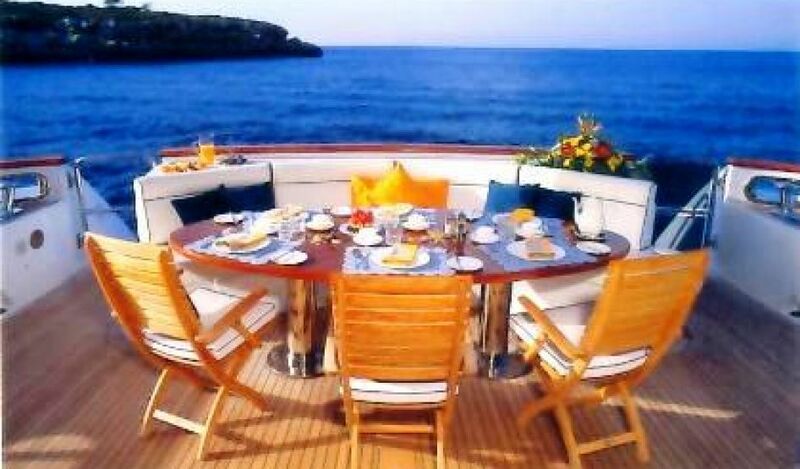 Luxury charter yacht INOUIS (ex Diane) was launched at the end of May 2004. She was designed and built to particular standards to guarantee elegance, luxury, style, comfort and fun. 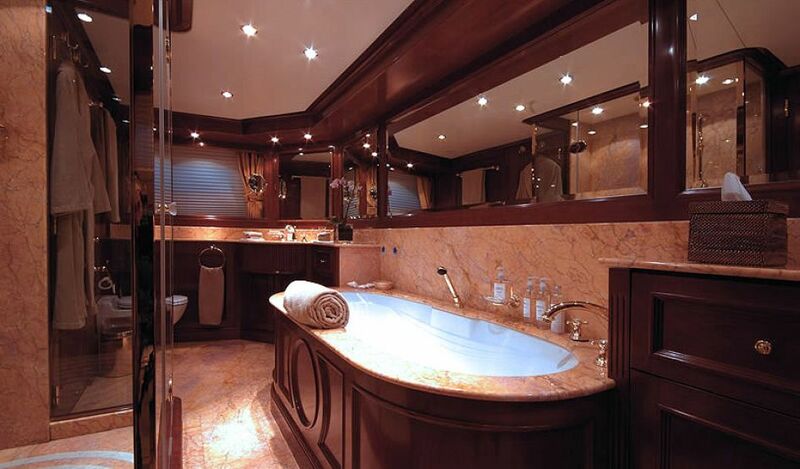 M/Y INOUIS underwent an extensive refit in 2014. The stunning interiors of motor yacht INOUIS were designed by Zuretti and effortlessly combine elegance with functionality. 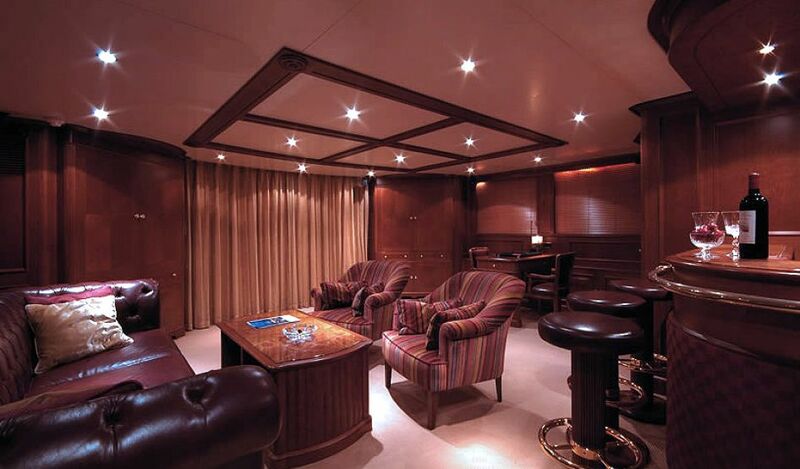 Ideal for entertaining, the main salon offers a spacious lounge aft, with plush sofas, occasional chairs, coffee table and state of the art entertainment systems. 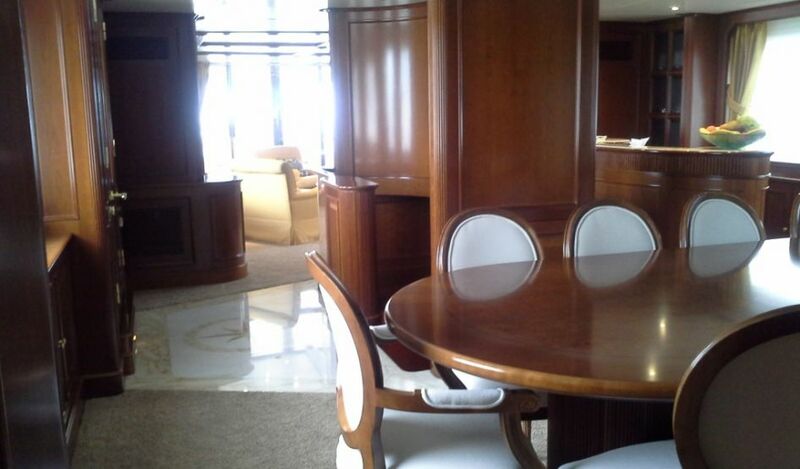 Forward on the port side is a crescent shaped wet bar, while to starboard is the entrance foyer and stair well to the guests cabins. 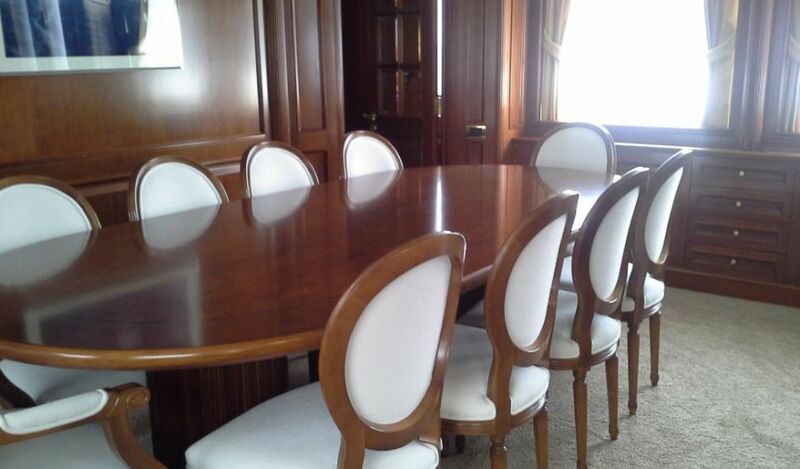 Both sides give access to the formal dining area, where all 10 guests can dine in style. Above the main deck, a skylounge is a fabulous additional social space, complete with a leather sofa, occasional chairs, coffee table, full wet bar with stools and additional games table. 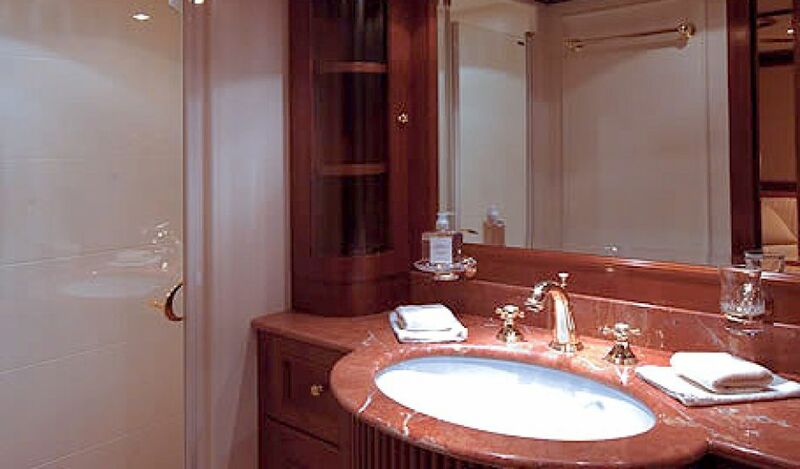 Aboard the luxury Benetti INOUIS, there is plenty of exterior living to enjoy and relax. Leading out from the salon, glass doors give way to a generous shaded aft deck with an alfresco dining option and full beam aft seating. The aft deck is the perfect spot to watch the water enthusiasts make the most of the sea toys on offer, from the extended swim platform. An upper deck boasts a further alfresco dining option, seating and partial shade, plus direct access to the skylounge. 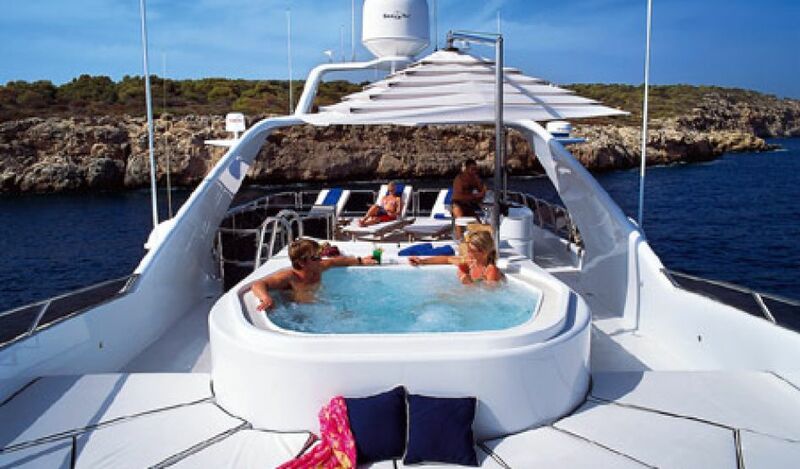 The sundeck is well-appointed and features ample sunning space, seating, partial shade and a deluxe Jacuzzi tub. 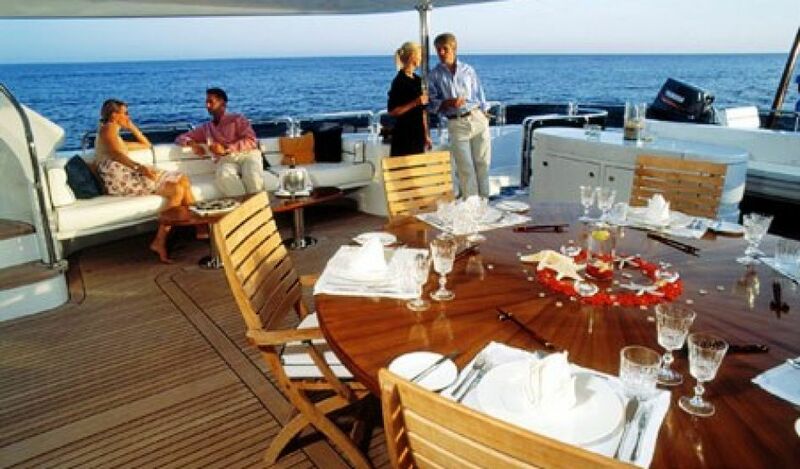 INOUIS is true five-star yacht and she is available for the ultimate luxury yacht charter vacation. Powered by 2 x 1350hp MTU engines, INOUIS is capable of 15 – 18 knots. 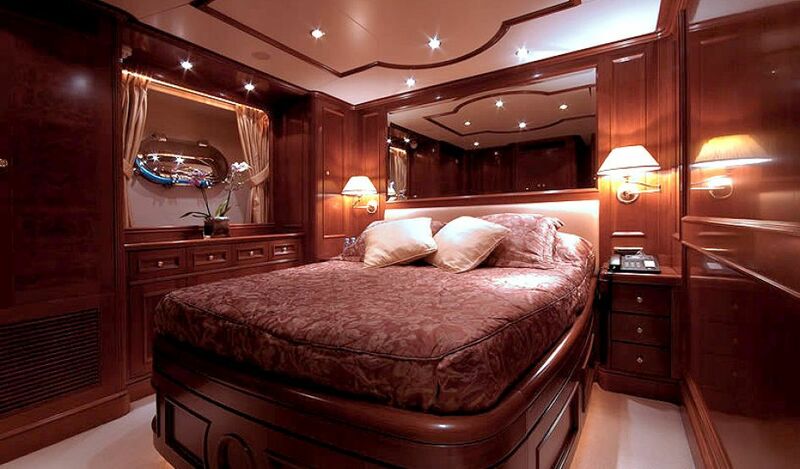 INOUIS offers up to 10 guests both comfort, stability and luxurious performance. 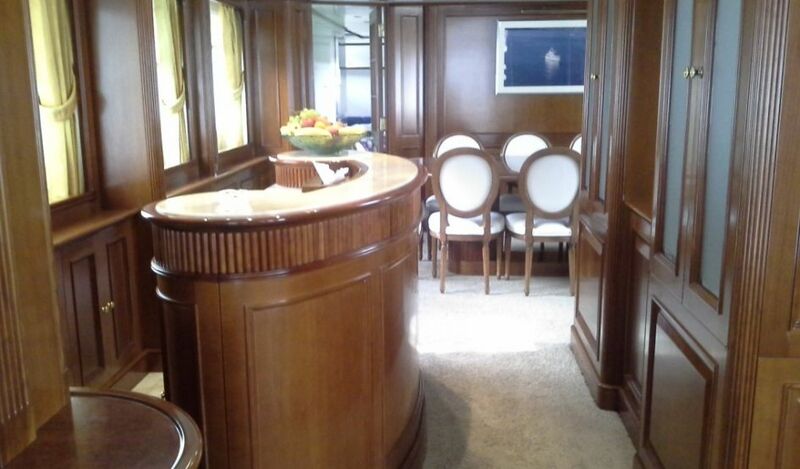 She boasts 5 cabins, with 3 doubles and two twins. All of the cabins are fully air conditioned and have full ensuite bathrooms and electronic audio visual equipment. 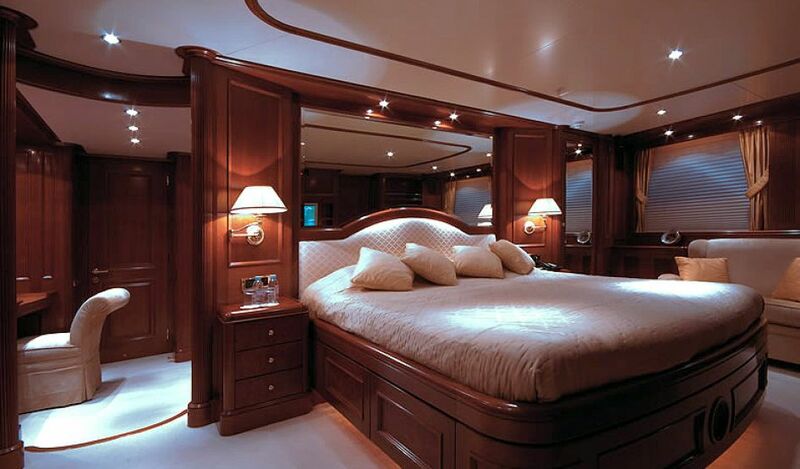 The master suite is forward on the main deck and full beam of the yacht, with a center lined king size bed, sofa, vanity, private study and large marble en-suite with his and hers facilities, walk in glass shower and deluxe tub.